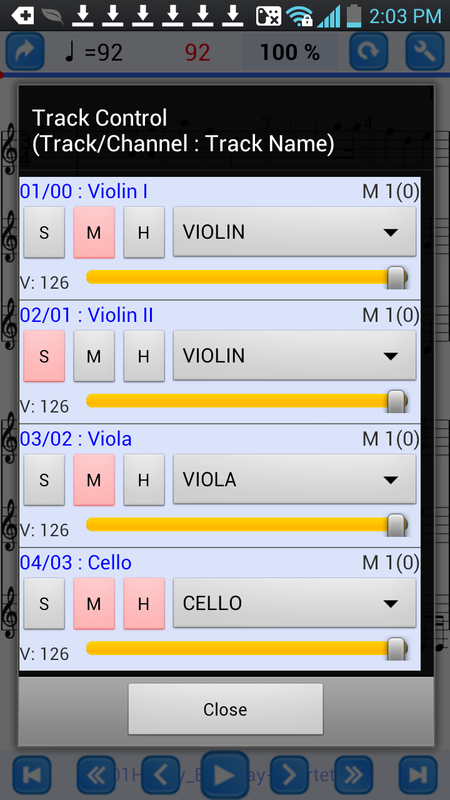 MozartMidi Notices - Ver.1.5.0 released | 1.5.0 이 출시되었습니다. Ver.1.5.0 released | 1.5.0 이 출시되었습니다. Ver.1.5.0 released with a little bit price up. also with some raised price. - User can select portrait / landscape mode, not automatic but in a user-controlled way. Just touch a button (left of tool button) then it will change portrait/landscape altenatively. - This app remember orientation used for each midi and apply it at next opening. - When changed to landscape, some tracks may be hidden from the last automatically and will be noticed to user. needed to be hidden. This interface interact with user about this control. 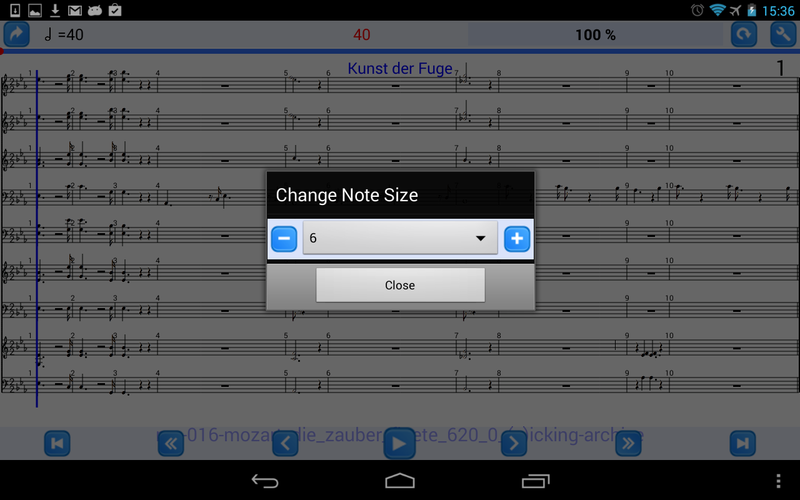 - Also note size used for each midi file will be remembered and will be applied automatically at next loading. - Consolidated control for track, instrument and volume. - It scrolls and accomodate any number of tracks. 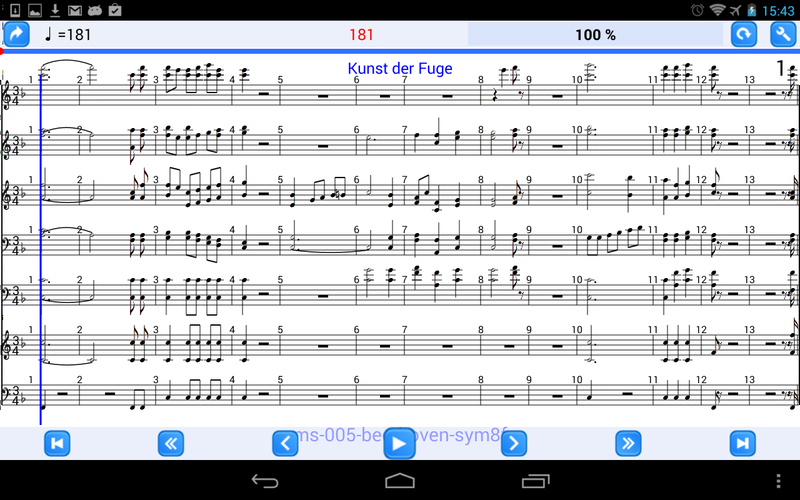 then it will show all instruments with repeated track and volume information. a track then it will show all channel with repeated track information. - Eliminated options -> settings, which is not convenient and not efficient.